The Agriturismo Le Preseglie, in the depths of the vineyards near the tower of S.Martino della Battaglia and very close to Sirmione and Desenzano del Garda, is a farmstead of the 19th century recently restored preserving in particular the original rural architecture. The owners offer hospitality in individual apartments equipped with highest comfort. At guests' disposal are one gracious one-room, eight two-rooms an two three-rooms apartment, all accurately and finely furnished in country style with wooden-beam ceilings and wood- or stone floors. The Cascina Le Preseglie in 15 ha Lugana, Cabernet Sauvignon, Merlot and Tocai Friulano grown. 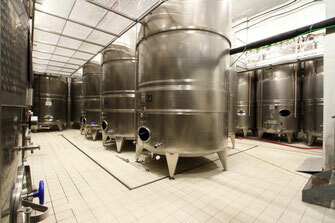 The winery has a capacity of 2000 hectoliters. 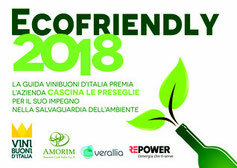 That's enough for the production of 60,000 bottles Lugana Doc, San Martino della Battaglia Doc, Doc Garda Merlot and Metodo Classico . 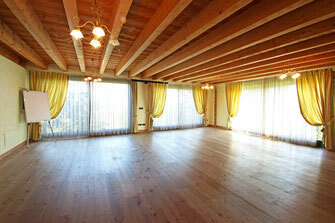 Great Hall 100m² room with wooden floors and beamed ceiling . The space is enough for 50 seats . Of course we have a flipchart, overhead projector, including canvas. A projector is available on request . Large room of 50m² with wooden floor. Capacity of 30 seats .